The Best of RISK! 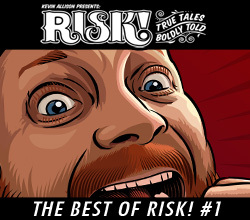 #1 | Kevin Allison Presents: RISK! Live Show & Podcast! Wanna hear out more of our favorites? Check out The Best of RISK! #2, #3, #4, #5, #6, #7, #8, #9, #10, #11, #12, #13, and #14! The last story made me cry laughing in the middle of work.